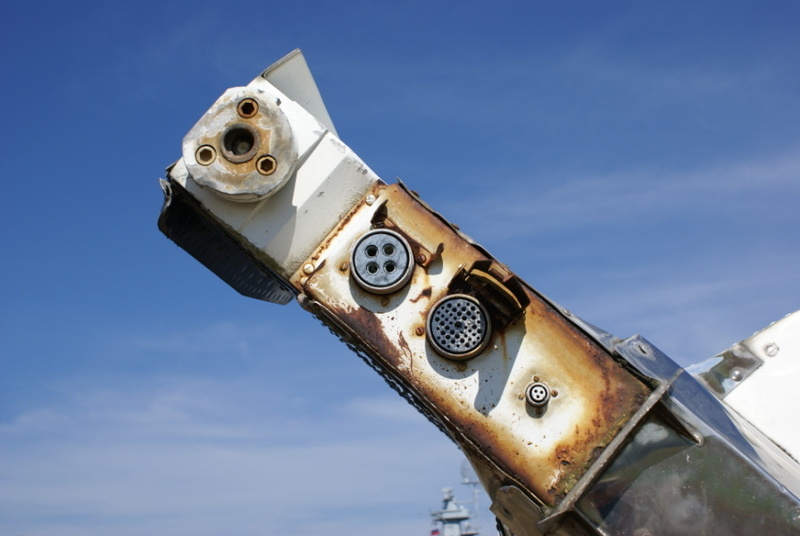 Three of the missile's fins have electrical connectors on their aft face. This is Fin IV, which has (from left to right) the DC power connector, the AC power connector, and the emergency cutoff connector. A malfunction of the latter connector on the first Mercury-Redstone flight, MR-1, caused the engine to shut down after the booster had risen only 3.8" off the launch pad.